Great value independent vacation to Australia's iconic city, beaches, and reef! Welcome to Sydney! A cosmopolitan international city filled with vibrant life, character and a sense of daring. You'll be met on arrival and transferred to your hotel, located only a short stroll to the Harbor Bridge, Circular Quay and the Opera House. Tour the Sydney Opera House! See inside the world's most recognizable sails. Experience this miracle of architecture and engineering. A work of art that came into existence against impossible odds - to become one of the busiest performing arts centers in the world. Cruise on the spectacular Sydney Harbor - a must for all visitors to Sydney. This world renowned cruise to the upper reaches of Sydney Harbor, featuring magnificent waterfront homes and parklands, gives a comprehensive view of what Sydney is all about. Fly to Coolangatta (flights not included). Pick up your rental car drive to Byron Bay! Australia's most easterly point casts a spell over everyone who goes there. Byron Bay has become an escape for urban refugees, and especially those with artistic inclinations. Byron Bay is a chic seaside town with glorious beaches, a New Age tinge and loads of style and energy. You’ll stay 2 nights at the Lord Byron Resort, located in the heart of Byron Bay and a short stroll to some of Australia’s best beaches. Spend the day exploring the area! Enjoy the miles of beach and the sunshine on Australia's Gold Coast. Today you’ll journey to a reef at the very edge of Australia's Continental Shelf, to an underwater world that is a dazzling kaleidoscope of color and brilliance. 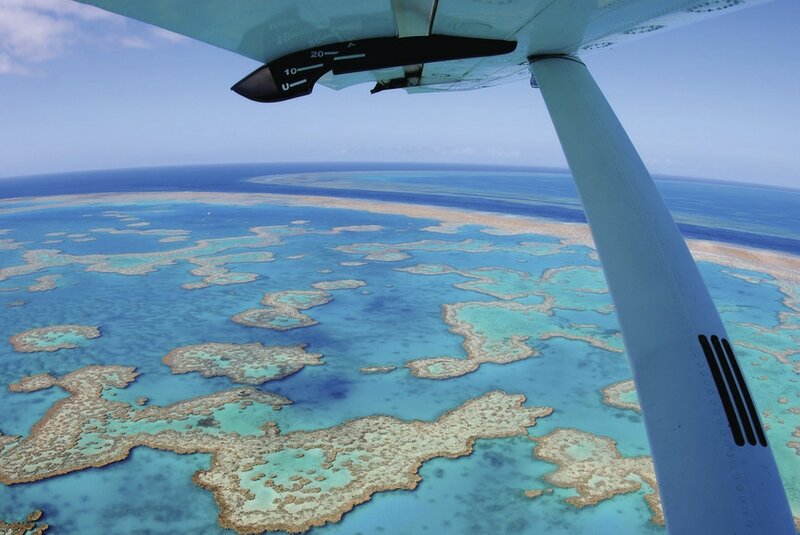 Agincourt Reef is a magnificent ribbon reef where you can experience firsthand the magic that is the Great Barrier Reef. You can choose to dive, snorkel, or stay dry and explore the stunning reef from the comfort of a semi-sub, just one meter underwater. At leisure to explore Cairns. This morning you’ll be transferred to Cairns Airport for your flight home.